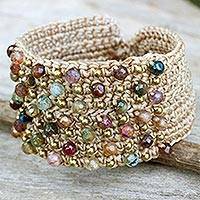 Labradorite Beaded Pendant Bracelet from India, "Magical Prism"
Hand Crafted Beaded Labradorite Bracelet, "Indian Rainbow"
Labradorite and 925 Silver Pendant Bracelet from India, "Elegant Prism"
The unique glow of labradorite lures with iridescent flashes of purple, blue and yellow, underscored by gray. 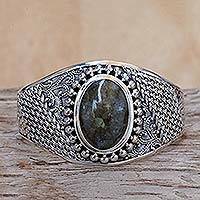 In mystical lore, labradorite is viewed as a power stone that stimulates imagination, enthusiasm and thus new ideas. 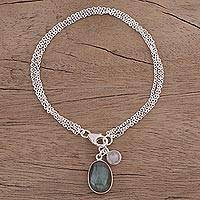 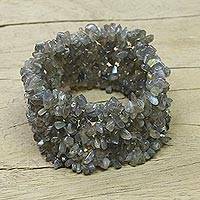 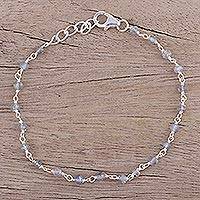 No wonder silversmiths favor the gem in the exclusive designs of Novica's Labradorite Bracelet collection. 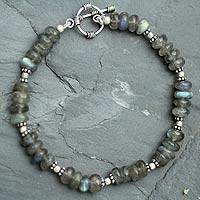 Labradorite is ideal for combining with silver in cuff and link bracelets, as well as with handcrafted earrings. 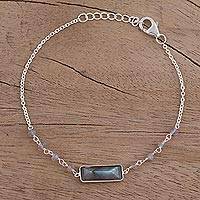 Set in a pearl necklace, labradorite creates a stunning contrast worthy of admiration. 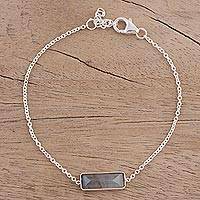 The versatile allure of a labradorite bracelet, alone or in the company of turquoise, garnet or carnelian, is destined to become a much loved gift for mom.